Seychelles represents a well-known offshore jurisdiction that offers the needed environment and protection of assets besides a simple registration procedure and a favorable tax structure. It is good to know from the beginning that registering the name of a company in Seychelles may be subject to certain restrictions which can be explained by our specialists in company incorporation in Seychelles. Providing complete support in the company registration process is also a matter of our advisors who can help you set up your offshore in a fast and reliable manner. • special permission is necessary if you want to use Foundation, Assurance, Bank, Building Society, Trust. It is good to know that the government in Seychelles accepts particular names if a letter of approval and the company’s documents are provided by the owner of the company in the insular state. 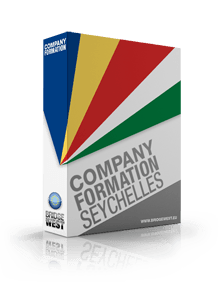 You may talk to one of our company formation agents in Seychelles in company registration matters, including support and information about how to choose the name of your offshore. Considering the restrictions of names for a company in Seychelles, one can choose LLC, Public Limited Company, LTDA, Proprietary or Pty, Limited or Ltd., Corporation, or Close Corporation (CC) as suffixes. As for Insurance, Trustee, Imperial, Guarantee, Reinsurance, Foundation, Savings, Cooperative, Bank, Chartered, Surety or Municipal, these can be used alongside with the chosen mane of your company only with approvals offered by the government or the Royal Family in Seychelles. Offshore companies in Seychelles are not subject to a minimum share capital, accounting reports, the disclosure of beneficiaries, or taxes on profits, and they represent the suitable business entities for many foreign investors or businessmen. For more details in this matter, please contact our team of company incorporation representatives in Seychelles.